Now that I’ve gone into detail on everything I’ll be carrying on the PCT, it’s time to talk about my pack, which is a new piece of gear for this adventure. I was previously using a ULA Circuit, which I liked and had no problems with. However, the only time it was full was when I was right out of town carrying several days’ worth of food. I didn’t need to get something smaller but I’m so glad that I did because I’m in love with my new pack. It’s a Superior Wilderness Designs Superior 35 frameless and I went all out on customizations. First of all, I got a two-tiered front pocket with a mesh pocket on bottom and a four-way stretch pocket on top. I opted for a stretch pocket on each shoulder strap in hopes that I’ll be able to use them as a holder for my sunbrella in addition to some shock cord on the straps. If it doesn’t end up working out, they’ll still be handy pockets for phone, headphones, lip balm, shades, and snacks. Stays stable in a bit of wind. 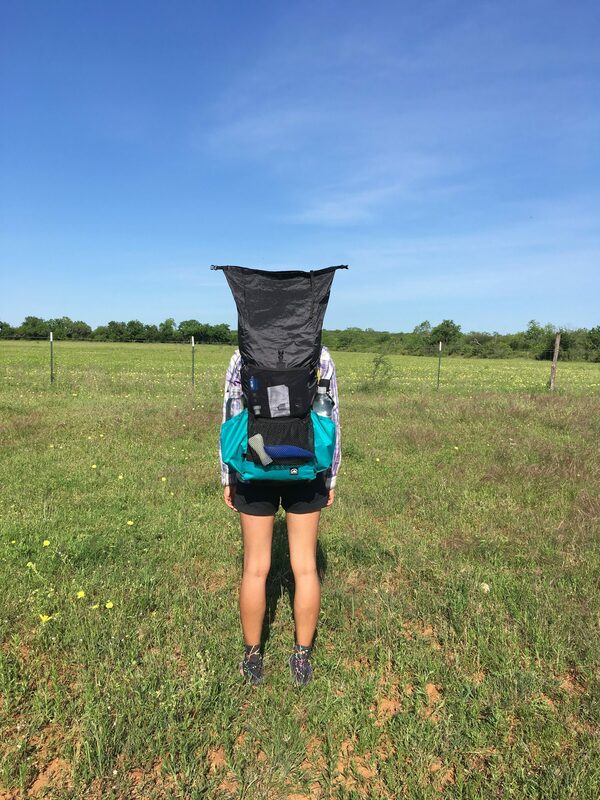 Instead of strapping my sleeping pad to the top of my pack, I’ll be storing it directly against my back in the external sleeping pad pockets that I requested. This makes the frameless pack super comfy against my back and does a good job at distributing the weight. I tried it without the sleeping pad and the weight shifts more to my shoulders. The only downside to this method is that my back gets sweaty super quick but if I was worried about getting sweaty I probably would just stay home. Lastly, I got a bottom pocket. 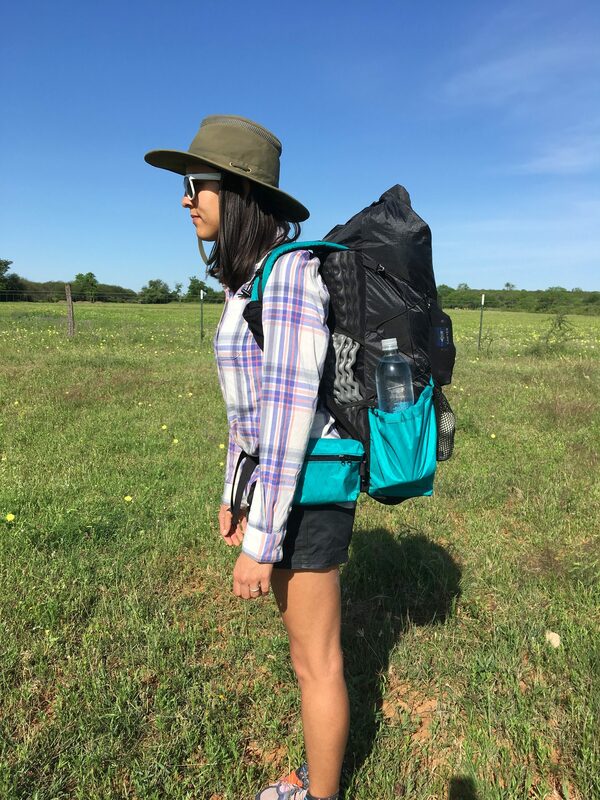 I was jealous of people with Pa’lante packs and their convenient bottom pockets but I don’t think I’ll ever be utralightl enough to go without a hip belt, so I asked SWD if they could do a bottom pocket and they did! Right now, I’m using it to store my poop kit but the stretchy material is roomy enough to be able to stuff my hoodie in there as it warms up during the day. Smartwater bottle in there for scale. 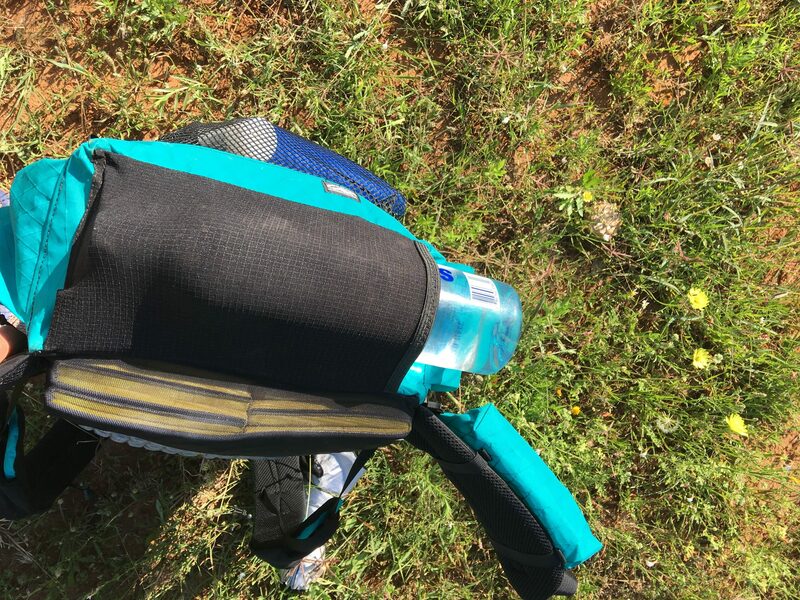 The pack also comes standard with two side pockets for water bottles and two removable hip belt pockets that I don’t foresee removing because I need somewhere to keep my snacks. It has a roll-top closure, a top compression strap, a removable sternum strap, and side compression cord. I was worried that a 35-liter pack would be too small but all the external storage adds at least ten liters of storage—I still don’t have it filled to capacity when training with eight liters of water and all the gear that I’ll be starting with. It allegedly even fits a BV500 vertically. Even though I went from a pack with load lifters, a sternum strap, and side compression straps, this simple frameless pack is already much more comfortable. Because it’s smaller, the load is cinched closer to my body and bounces around less. I’m a petite person and the 68L Circuit was wider than my body, whereas this pack is smaller than or just about as wide as my torso. It’s also now possible for me to reach around and grab things out of my front pockets, which I couldn’t do with the Circuit. It’s made of a material called X-Pac, which is a laminate fabric, meaning it’s completely waterproof but not seam sealed. I should be good without a pack cover as long as I keep my puffy and sleeping bag in a waterproof stuff sack. Here’s some interesting info about X-Pac. Even though I’m not overly rough with my gear, this pack seems really durable and I’m sure I’ll get thousands more miles out of it after the PCT. My base weight is about 11.5 pounds, so ideally I’ll usually be carrying 20 pounds or less. The pack is rated to be able to carry 20 to 25 pounds comfortably. I’ve been training with all my gear, some food, plus eight liters of water, which comes out to right at 30 pounds. My rationale on training with 30 pounds is that I’m preparing myself for long water carries, and that my more average weight of 20 pounds will be a breeze. 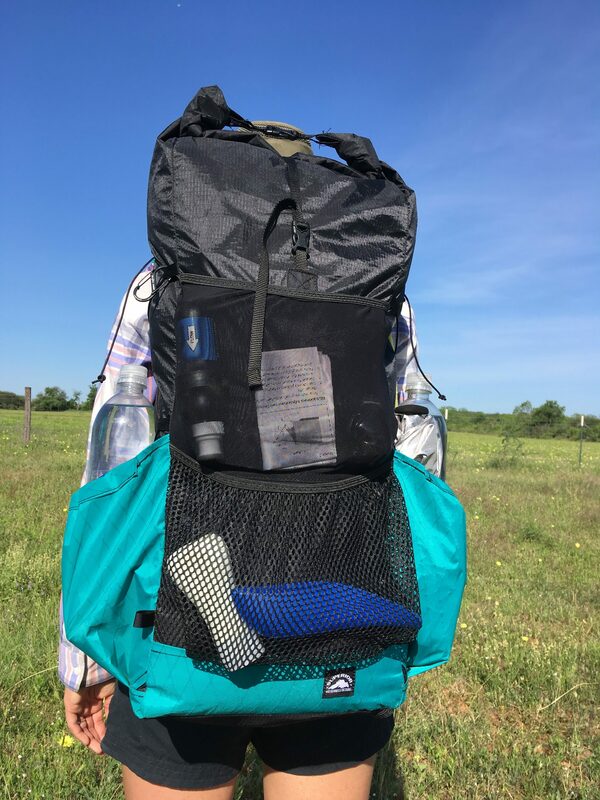 Carrying 30 pounds is unpleasant in this pack but I will only have to carry that much on longer water carries for the first several miles after a water source. Superior Wilderness Designs is a really small and newer company. It was started in early 2016 by a couple, Brandon and Ashley, before they set out on their thru-hike of the PCT that same year. If I understand correctly, it’s still just them two running the company and making all the gear so patience is required. I waited about eight weeks for my pack; I’m not complaining, but if you’re considering buying a custom pack from them (or similar companies), do it well before your hike starts. 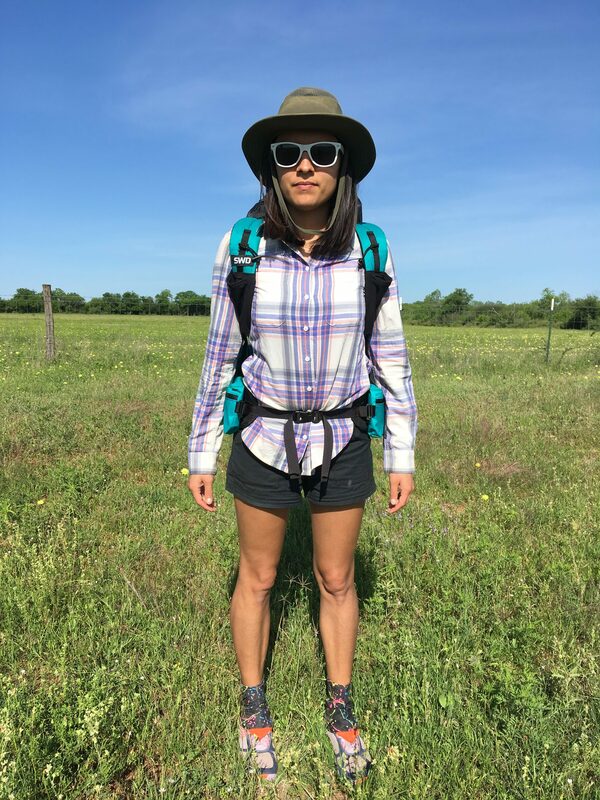 I like the idea of purchasing my PCT pack from a couple who hiked the trail themselves. What’s cool about ordering from SWD is that you can customize everything. They have a page with customization options, but if you have something you want that’s not listed, you can shoot them an email and they’ll probably be able to do it. When I emailed them about everything I wanted on my pack, they got back to me by the next day with how much each component would cost. They often post pictures of packs they made on their Instagram page so scrolling through that is a good way to get ideas for what’s possible. Here’s a cool podcast episode with an interview with Brandon from SWD. 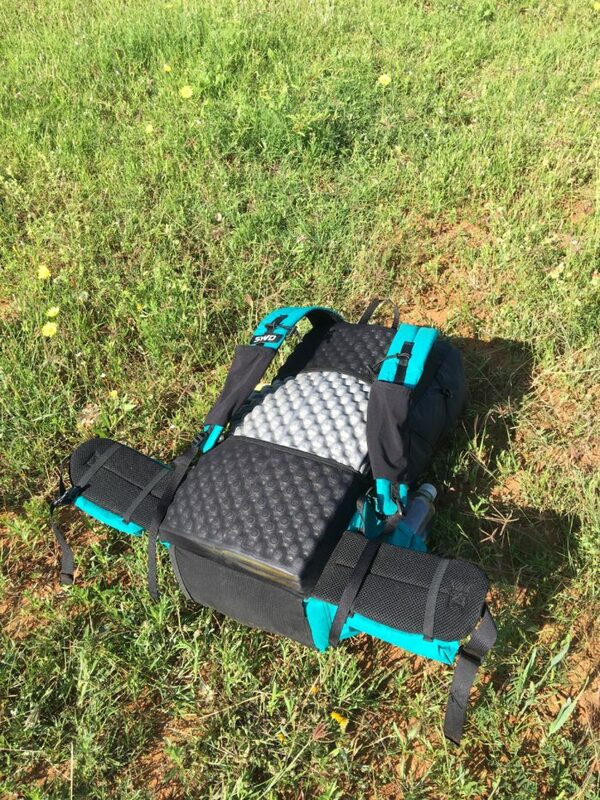 I still haven’t used this pack on anything other than training hikes so I’ll be sure to post a post-trek review on how it held up but I really have high hopes for it and I’m in love with dat teal. Nice review, and interesting pack. I’ve never seen anyone carry a sleeping pad in that fashion. Also gets the pad out of the way. Don’t need it until the end of the day, so no need to fuss with it every time you stop and need to dig something out of the pack. One thing: How much did this cost? Every review out to reveal that detail, don’t you think? 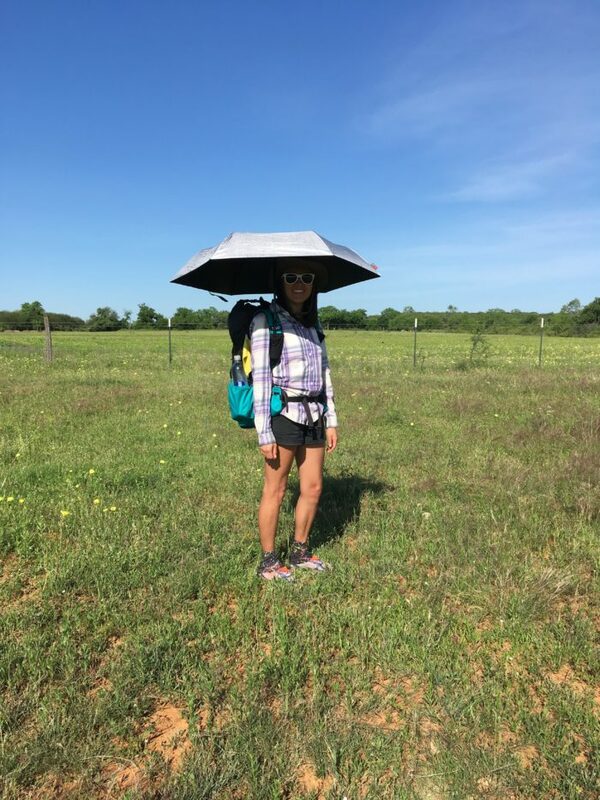 She copied Gossamer Gear. They have this on all their packs, but yeah seems like a nice feature. I just wish I had read your post about your pack before I blew $200 on the nero-thing I got. You added some great features to an already awesome pack. Muy celoso. — but in the nicest way. Liked your articles so I subscribed.